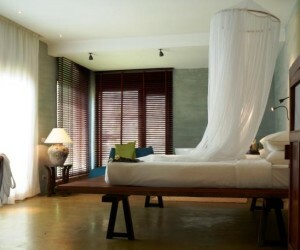 Welcome to Kep and Kampot – home to some of the best boutique hotels on the Cambodian coast. The seaside town of Kep was favoured as a colonial retreat of the French elite at the turn of the twentieth century. Today it is better known for its impressive crab market, pretty resorts and stunning sunsets. Many will be surprised to learn there is no beach here – but the white-sand island of Koh Tonsay (also known as Rabbit Island) is just a short boat-ride away, making for an ideal day-trip. Nevertheless, it is incredibly peaceful and less discovered. We would end every Cambodian holiday here if we were given the chance – it is all about where you stay in Kep and we have the answers to that one. Meanwhile the riverside town of Kampot, just 25km inland from Kep, has some wonderful crumbling old French architecture to explore and also offers lovely jungle trekking in the nearby Bokor National Park. There are plenty of caves to visit in the area as well as acres of pepper plantations and rolling countryside. 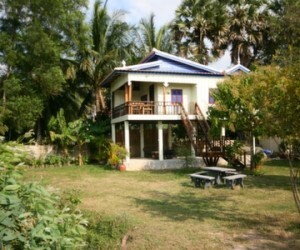 We work with two gorgeous retreats out of the town centre, which offer a wonderful insight into the ‘real Cambodia’. 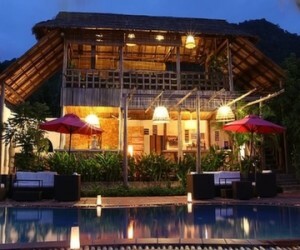 Both destinations, just half an hour apart, have a mix of rustic and mid-range accommodation. 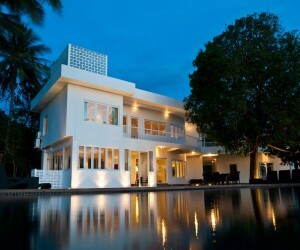 YKP001 - Three beautifully converted modernist villas from Cambodia’s 1960s heyday located on the southern shores with wonderful ocean views. YKP002 - A beautiful hilltop resort overlooking the sea, the Veranda Natural Resort is a rustic haven of tranquility located in the gardens of Kep National Park. VKP004 - Cute little bungalows nestled among jungle-like tropical gardens in the heart of Kep, on Cambodia’s south coast. YPT002 - Discover the very best of Cambodia’s natural beauty at these gorgeous traditional Khmer houses on stilts near the riverside town of Kampot. 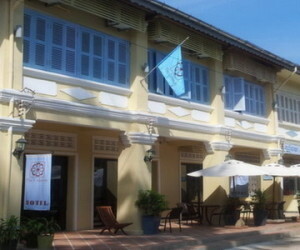 YPT001 - A handsome boutique hotel housed in a row of old colonial era shophouses, located on a quiet tree lined street in the heart of the old town Kampot. 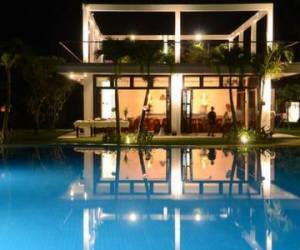 YKP003 - A wonderfully restored 1960s villa with just six rooms. Much more than just a hotel, Villa Romonea has a fascinating history and unique design - lovers of Feng Shui will adore this little place. 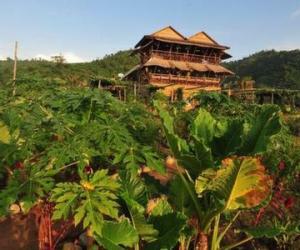 YPT003 - The Vine Retreat is a tranquil retreat tucked away on a working pepper farm, surrounded by luscious jungle. YKP005 - A delightful new hotel tucked in the middle of a two-hectare botanical park besides the ocean at Kep, which was known as the French Riviera of Cambodia in the 1950s.